has long been a favorite of mine. If you are looking for what I consider to be one of the best values in American wine, Cameron Hughes wine is the way to go. I recently received Lot 151 as a sample, and was surprised to see that this wine hails from the Columbia Valley. 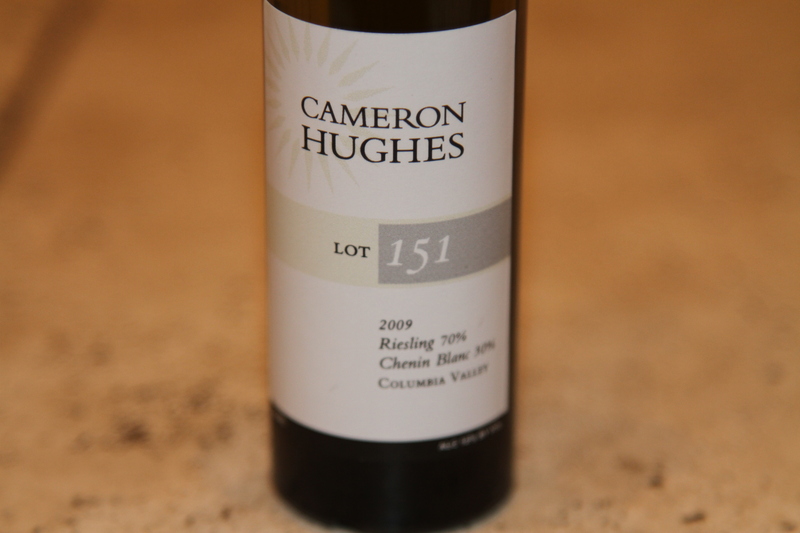 Cameron has been largely focused on wines from California and this is his first wine from Washington State. Let’s take a look at the technicals: Lot 151 is a blend of Riesling 70%, Chenin Blanc 30%. The alcohol comes in at 12% and the production was 2,500 cases. Lot 151 retails for about $10. The color is a clean golden straw color. The nose is quite aromatic and features ripe peach and citrus with floral notes. The palate is somewhat more concentrated than I expected and I liked it. Lot 151 is crisp yet sweet, the acidity is lively. This is a very interesting for only $10. This wine would pair well with spicy dishes and also a traditional Thanksgiving dinner.